Women may be speaking up and making their voices heard all over Hollywood, but there’s still a long way to go before the entertainment industry is inclusive, safe and equal. 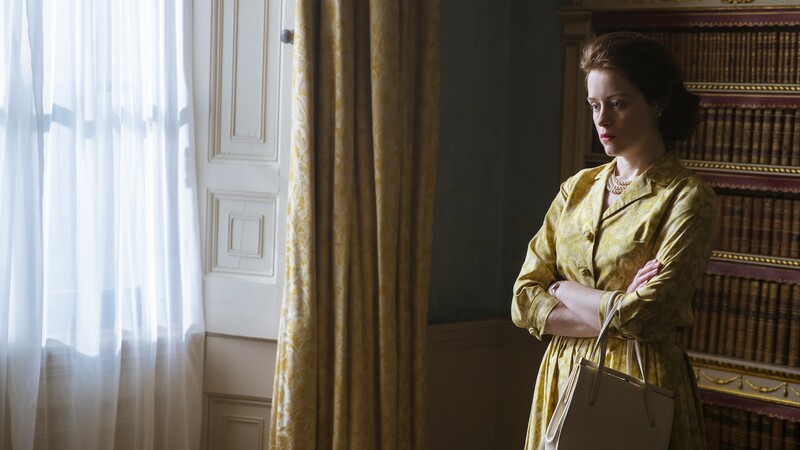 We just got more proof of that earlier this week when we learned Claire Foy, the star of Netflix’s The Crown, earned less for playing Queen Elizabeth II than her costar and the show’s second-billed actor, Matt Smith, earned for playing Prince Philip. Suzanne Mackie and Andy Harries, producers of the show, gave us the inside scoop on how the pay gap happened while they were in Jerusalem for the INTV conference. It’s unclear what Smith earned, but we do know Foy reportedly took in around $40,000 per episode for Season 1 of The Crown as reported by Variety. A further discrepancy comes into focus when we take into account that as Variety notes, each episode of the first two seasons cost around $7 million to make. While it’s certainly not expected that Foy would have earned anything close to that high $7 million-per-episode production price tag, her salary feels, in the scope of those costs yet considering the work she did as lead, lower than we’d expect. And while it’s all well and good that The Crown is going to take steps to fix the pay gap among its stars for Season 3 and beyond, it’s already too late to rectify that for Foy. Due to the narrative structure of the upcoming season, she’s already done with her stint on the show. For the upcoming season, Olivia Colman will take over to play the queen, and The Crown will forever have an ugly black mark on its history for having paid the lead less than what a male costar made. Listen, we get that Smith was well-known before joining the cast of The Crown, while it was Foy’s first high-profile role. But saying Foy was paid less simply because Smith had more fame and more experience doesn’t fly. Foy is an incredibly talented actor who won a Golden Globe and Screen Actors Guild Award for The Crown. She has had a comparable amount of TV and film roles to Smith even if those roles didn’t come with the cachet of being associated with a long-beloved sci-fi franchise. Crucially, she was also the lead of the show. The Crown is primarily about her character. And if Foy had been a man in a leading role, we’re willing to bet he would have had the highest salary of the cast regardless of his experience. It’s so disheartening that Foy will never have that proverbial piece of the pie she rightfully deserves; it just feels like a hollow gesture. That should have been the standard from the beginning, and Foy should have been compensated fairly for her award-winning work.